I love fall. Besides the beautiful colors, crisp air, and spicy smells, fall is also the beginning of comfort food time. 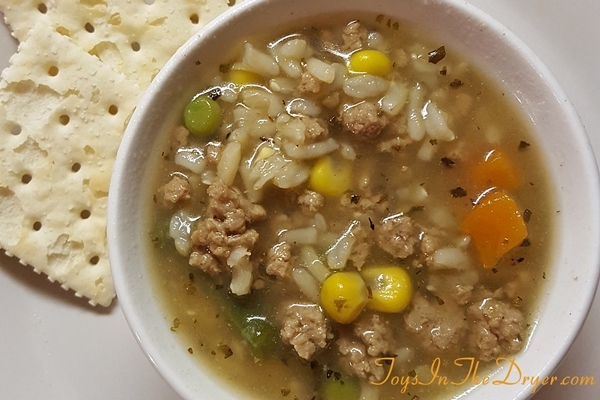 This incredibly easy vegetable beef soup is one of my go-to comfort foods because I almost always have all the ingredients on hand and it’s quick to make. My girls are super picky eaters but this is one meal they gobble right up (and usually ask for seconds!) I don’t think they even realize how many vegetables they are eating. Bonus! My husband loves it because it’s hearty despite being a soup. Exchange the rice for small cubed potatoes and it’s even heartier. Mix all the ingredients in a large soup pot and cook until vegetables are thawed and soup is warm. 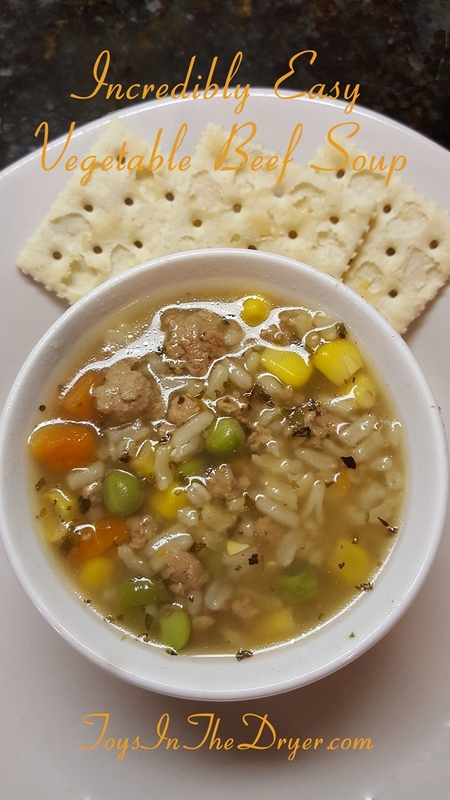 My family likes to eat this soup with crackers mixed in and biscuits on the side. 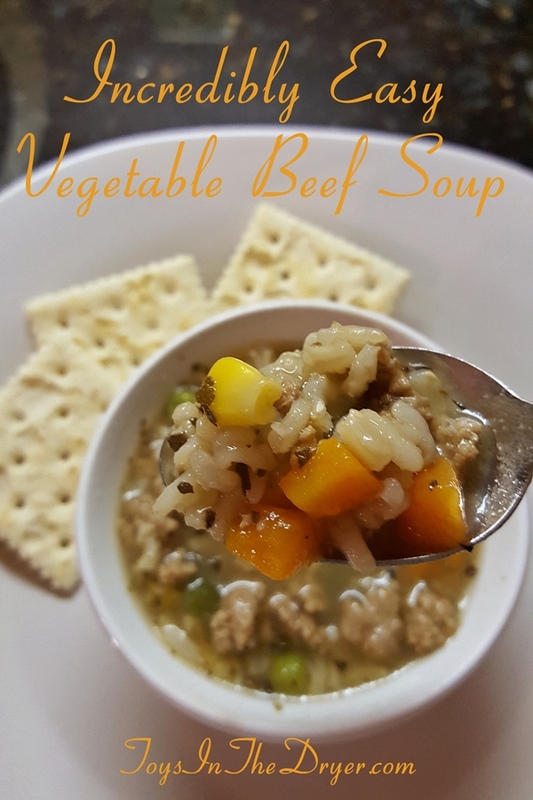 There you have it…incredibly easy vegetable beef soup. I bet your family will like it as much as mine does!